Firstly, it gives me a semblance of understanding as to what happens at the breakdown. Secondly, it brings me back to my own burrow, to the PlayStation and the ground-breaking Living with Lions documentary about the ’97 tour to South Africa. Back then, the Premier League was the height of any sporting fantasy, but the introduction of rugby and the professional era began to change all that. 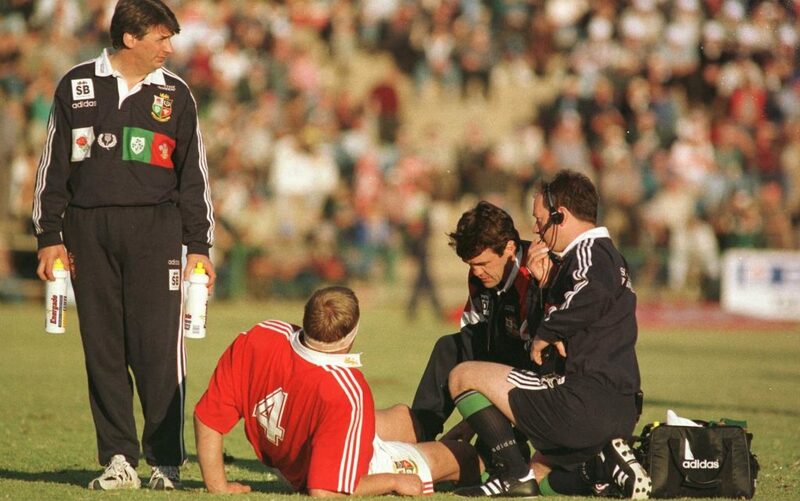 Many of today’s rugby fans first got to grips with the rules on gaming consoles while we had never experienced such access to the world of an elite athlete until the Lions opened their doors. It was captivating. 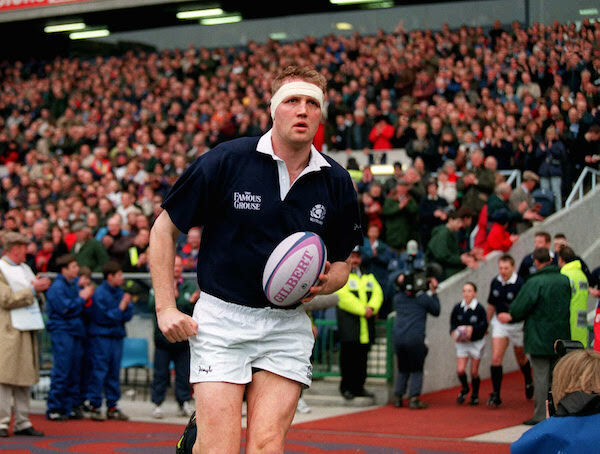 I still remember watching the moment Doddie Weir’s career seemed to come crashing down all around him. While his Lions teammates revelled in a comprehensive victory over Mpumalanga, in the corner of the dressing room Weir was being ruled out of the tour. While Weir would never purport to have been a model professional, he was nevertheless at the pinnacle of his sport in a manner of ways. Certainly, his brief cameo on the documentary marked him out as one of the game’s great characters. However, one of the great commentator’s legendary depictions remains synonymous with the great Scot. As the buccaneering second-row set off down the field during one particular game, McLaren described the scene as though Weir was going ‘on the charge like a mad giraffe.’ Even today, those words could not be more appropriate. As he battles with the muscle wasting effects of Motor Neurone Disease, Weir has embarked on a crusade, duty bound to raise awareness of the illness. The rugby world has followed (tartan) suit. At the coalface, Scottish rugby legends such as Scott Hastings (Chairman), Finlay Calder OBE, John Jeffrey and Gary Armstrong stand alongside Weir as trustees of the My Name’5 Doddie Foundation. To date, the charity has raised over £1m to aid research and support MND sufferers. The wider rugby community has also been playing its part. 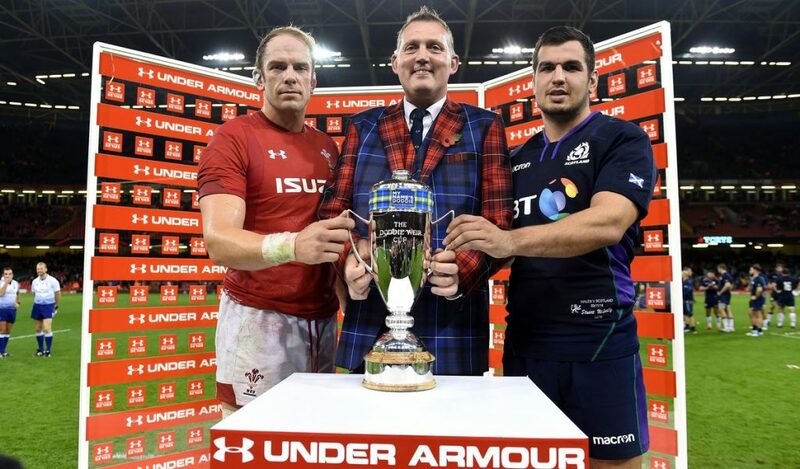 Numerous teammates and opponents have arranged dinners, golf outings and various challenge events, while last year the Doddie Weir Cup was established as a perpetual rugby union trophy between Scotland and Wales. “If you look at the thing, the cup was definitely modelled on me: long and elegant with massive handles!” Doddie muses. “But in all seriousness, we need the love of the people to raise money and rugby is a great medium. Any associated event can make a huge impact on the Foundation. That’s where the Ireland v England Legends game comes into it. In time, Weir won’t be able to walk. He will lose the use of his hands and the ability to speak. For someone whose career once tested the extent of his physical abilities, the future must be disheartening. However, he remains a beacon of positivity. “With my situation, I have been able to see what is happening behind the scenes. While it can be frustrating and you always want more to happen, it is a complex issue. We need to support the experts as they go about trying to find the ultimate cure. Remarkably, Weir considers himself quite lucky in the circumstances. Although he requires some assistance in “the little things” like buttoning his shirt or putting his belt through the loops in his trousers, his slow progressing ailments means that he retains the capacity to go about raising awareness. “We get emails all the time urging us to keep up the good work. One that sticks out told us about a 38-year-old gentleman who was diagnosed in September 2017 and died two months later. He had two little kids. I’m ten years further on from that. My kids are ten years further on. What have I to grumble about when I hear things like that? The mad giraffe is still on the charge.